Chemtrails are just one of those things that the mainstream media and their talking heads love to hate. Even though we can see the streaks of aerosols lining the skies above, and even though geoengineering efforts are now becoming a matter of public discussion, the media and their talking heads still assert that chemtrails are nothing more than conspiracy theorist folklore. But denying reality is what the propaganda-pushing legacy media does best, isn’t it? 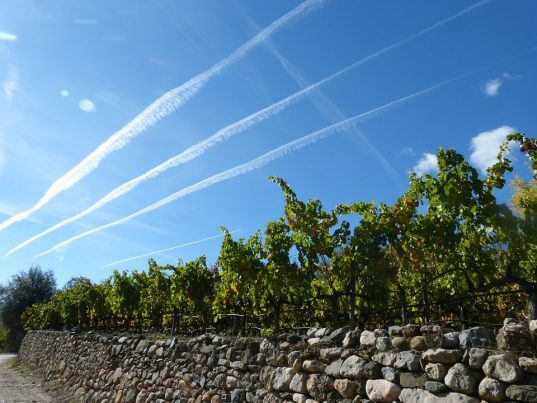 Despite the claims that chemtrails are nothing more than a “conspiracy theory,” the fact of the matter is that geoengineering has been heralded as a way to save the planet from “climate change” for many years now. How do scientists propose we engage in these climate-control efforts? Well, one of the leading proposals is to spray aerosol solutions into the atmosphere. These stratospheric injections are ultimately what most people commonly referred to as chemtrails. Yet, the media denies the existence of chemtrails in one breath, while reporting on how we need to stop climate change with atmospheric aerosols with another. How can the legacy media be trusted to provide truth, when they can’t even say what the truth is? At ChemtrailsNews.com, you can find the latest real news on chemtrails and other geoengineering efforts, climate conspiracies and more. Nothing says “propaganda” like the widespread claims that chemtrails are a “conspiracy theory” dreamed up by extremists who fear the government wants to control the climate — while scientists around the globe are actually working to do just that. As writer Ethan Huff explains, multiple recent studies haven’t just proposed the idea of atmospheric aerosol sprays, researchers have actually admitted that these sprays are already in use, supposedly to help fight climate change. Researchers from Harvard University published a paper last spring discussing “small-scale atmospheric experiments” that they touted as a method of combating climate change. Even NASA itself has admitted to spraying lithium into the atmosphere over the years. More, an EPA scientist was recently fired for speaking out about the dangers of chemtrails. Michael Davis, an EPA employee of 16 years-turned-whistleblower, stated, “I was terminated as a public servant performing a public service for raising the issues of anthropogenic deposition” of aluminum due to atmospheric geoengineering. There is an abundance of evidence which indicates that chemtrails are not a new idea and that the indiscriminate spraying of substances into the atmosphere has been going on for quite some time. Natural News founder and director of CWC Labs Mike Adams revealed last year that the U.S. government alone holds 175 patents on geoengineering techniques. “These patents describe known processes for generating rain, augmenting hurricanes, seeding storm systems, accomplishing weather modification and much more. Keep in mind that all these patents have already been approved by the U.S. patent office, meaning that the U.S. government affirms the scientific feasibility of these inventions,” Adams said of the list. You can learn more truth about chemtrails, geoengineering and more at ChemtrailsNews.com.